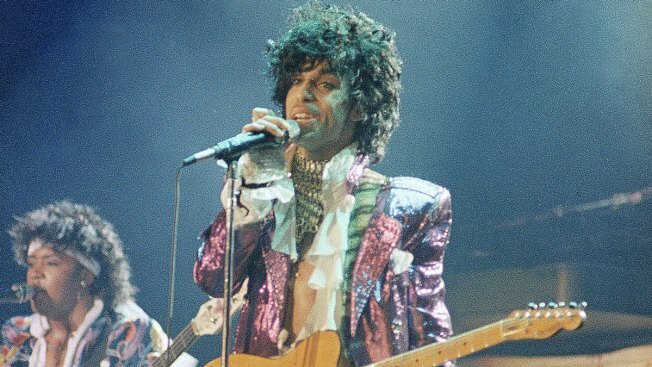 Some of the pills taken from Prince's estate in Paisley Park after his death were counterfeit drugs that actually contained fentanyl — a synthetic opioid 50 times more powerful than heroin, an official close to the investigation said. The official, who spoke to The Associated Press Sunday on condition of anonymity because of the ongoing investigation, said nearly two dozen pills found in one Aleve bottle were falsely labeled as "Watson 385." According to Drugs.com, that stamp is used to identify pills containing a mix of acetaminophen and hydrocodone, but the official said at least one of the pills tested positive for fentanyl. One pill with the "Watson 385" stamp tested positive for fentanyl, lidocaine and another drug. Officials found nearly two dozen pills similar to the one that was tested, the official said. Authorities also found a prescription bottle in someone else's name that contained 10 oxycodone pills, the official said, without revealing who was listed on the prescription. U-47700 can be tested for in toxicology screens, but is not done routinely because it is a relatively new chemical. Presence of the drug was not tested in Prince's case, but the levels of fentanyl in his system were more than enough to be toxic, the official said. Tests on Prince prior to his death did not show fentanyl in his system, which means he wasn't a long-time abuser of that drug, but likely took the fatal dose sometime in the 24 hours before he died, the official said. The official did not elaborate on those tests. But at least one doctor, Michael Todd Schulenberg, saw Prince on April 7 and again on April 20, the day before he died. According to a search warrant, he told a detective he had ordered tests for Prince and prescribed medications. Schulenberg's attorney, Amy Conners, has said patient-privacy laws do not allow her to say what the prescriptions were. The autopsy report also shows Prince had diazepam, lidocaine and hydrocodone acids in his body, the official said. Diazepam is an anti-anxiety pill sold as Valium. It's a sedative and can also be used to control seizures, which Prince suffered from as a child. Lidocaine is a local anesthetic. Editor's Note: An earlier version of this story misidentified a synthetic drug found in some pills at Prince's estate after his death. It is U-47700.